Lock change is often overlooked. As a result, people expose themselves to risks of burglaries and intrusions. Well, we can’t blame them. Some people would not recognize a need for changing locks even if it is staring at them in the eye. To avoid being part of the statistics, take note of the five reasons you should contemplate about changing locks today. * You are moving to a new home. Whether it is an entirely new home, an apartment, or an acquisition from a previous owner, it is important that you have the locks changed in at least all your external doors before getting cozy and homey. You would not want anyone – your builder, a previous tenant, or the person you acquired your house from – to still have access to your premises. Your front and back doors are crucial so do change them before moving in. * You have lost or misplaced your keys. Lost house keys may fall into the wrong hands. That’s what you would want to avoid. 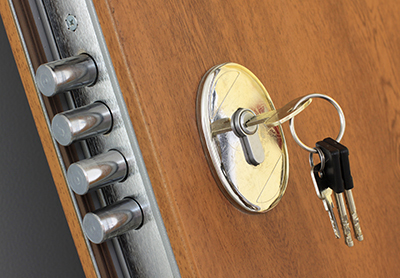 If you cannot find the set of key to your home, key replacement may not cut it for you. Instead, change your locks to be sure that whoever has your keys, especially if there is a key card attached in it, will not be able to break into your home comfortably. * You had your keys stolen. Changing locks in this regard has the same importance as when you lost or misplaced your keys. If your keys are stolen, it is very likely that the taker has intentions of breaking into your home unannounced. * Your locks are old and battered and no longer effective. Locks and keys are not made to last forever. If your locks are faulty, you should consider changing them professionally and as soon as possible. Old and battered locks that do not function as they should may raise several issues, including home lockout and intrusion. * You suspect, or actually suffered from, a break-in. It is part of the grind of break-in repairs. Of course, you would not want to have to go through that experience again. If your house has been broken into or you suspect there was an attempt, your locks may already become weak. Apart from changing locks, it is also very important that you reinforce the amount of protection they can offer through additional security products. Having deadbolts and other high security door locksets as well as alarm systems and CCTV kits will definitely increase your coverage against burglaries and intrusions.